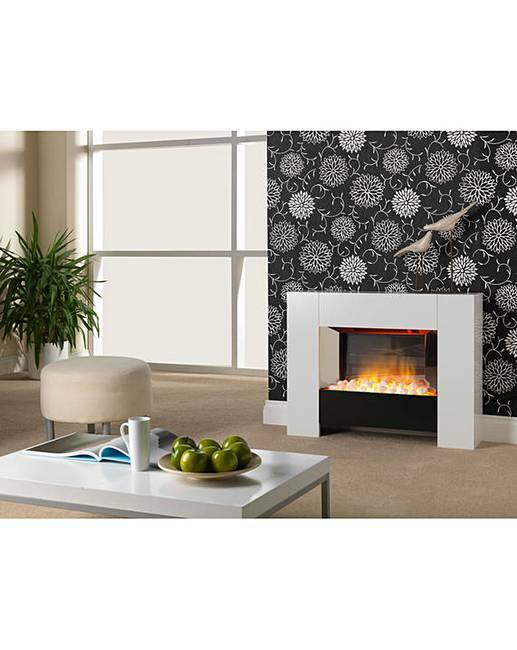 The Dimplex Chesil Dual Option Fire Suite is freestanding or can be wall mounted (fixings included) with a gloss white finish surround. 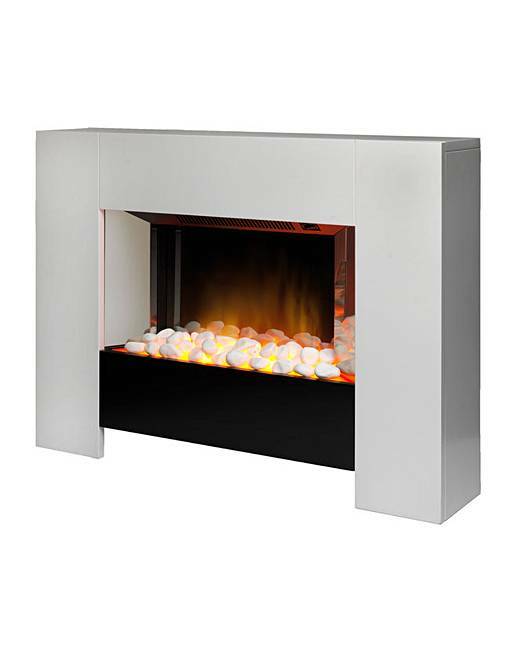 2kW heat output with two heat settings (1kW and 2kW). 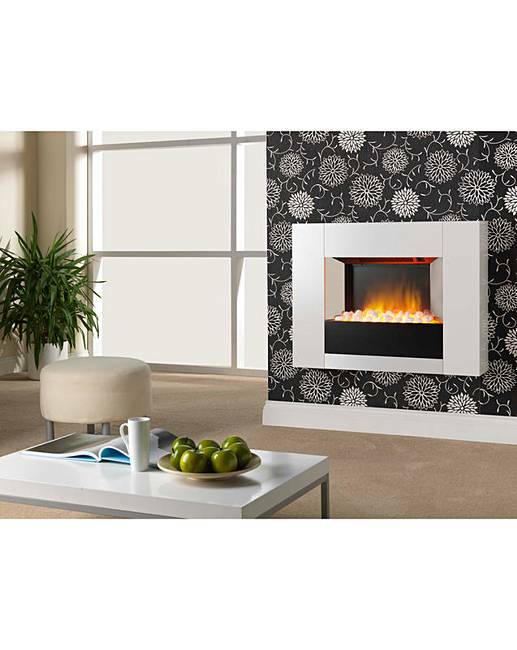 Optiflame LED flame real loose pebbles effect that can be used independently of the heat. Comes ready assembled. Overheat safety cut-out. Remote control (batteries included). LED lightbulbs. H.69 x W.88 x D.19cm.